Why Does My Guitar Need A Setup? A guitar setup is a process easily equated to something like a car service. 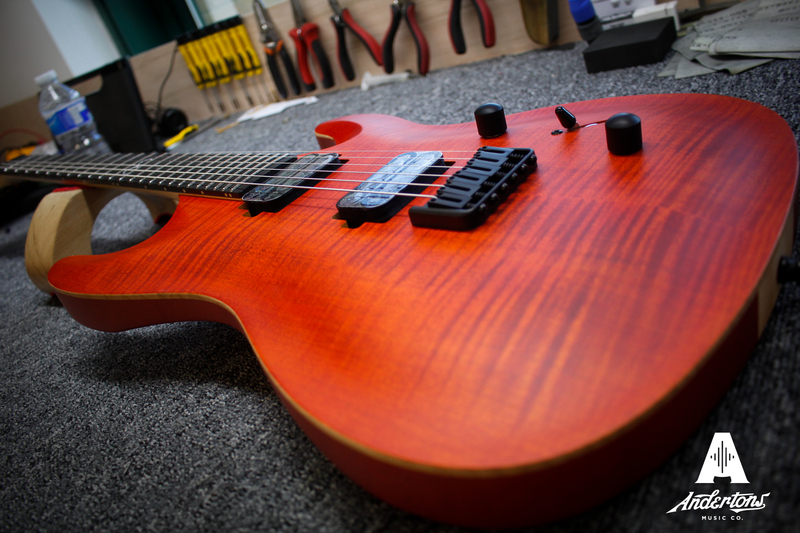 You take your valued car in for a service at least once a year, so why not do the same for your beloved guitars? Sometimes, a routine check is all that’s necessary to keep your guitar in top shape, much like going to the doctor for a checkup. How to check if your guitar needs a setup. The most common causes of a guitar needing a setup. How often you should probably go and get your guitar setup. Why you should get your guitar setup! The most obvious reason for your guitar needing a service is the fact that it’s made, primarily, of wood. And wood tends to react quite drastically to the environment its kept in. The heat and cold can twist and warp the neck and the humidity can cause the body wood to bloat or dry out. Particularly in acoustic guitars. For this reason, you need to ensure that your guitar is kept in check, regularly, so that it doesn’t cause larger issues further down the line. When should I get my guitar setup? Here are a few guidelines to follow with regards to when you should get a guitar setup. If you’ve gone a year without a guitar setup. If you’ve just purchased a new guitar and need it set up to your taste ie. heavier strings perhaps? You’ve bought a second hand guitar and don’t know when it last had a setup. You’re struggling to play it because the strings are too high up from the fretboard. Some notes buzz or hardly give any sound at all. The intonation is out (two of the same note separated by an octave on the same string sound out of tune). 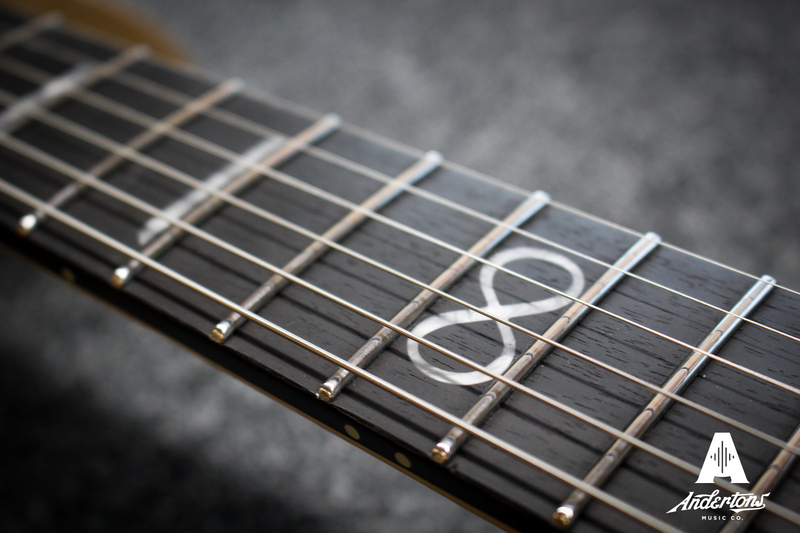 You can check this by tuning the guitars open string and fretted at the 12th fret. If they don’t match up, the intonation may be wrong. The nut or frets have sharp edges that make the guitar uncomfortable to play. The guitar doesn’t stay in tune. You consistently break strings in the same place. For example: the string often breaks nearest the bridge or the nut. Whether you’re a regular player or not, your guitar will still need a regular setup because the wood of the guitar can still be temperamental even if you don’t play it that often. Professional players tend to face different problems because they’re playing their guitars so often. When touring and gigging your guitar will go from your comfortable lounge temperature to a cold gig venue or out into the hot festival sun. Not only that but the frets tend to take more of a battering because the guitar is being played so much. These are just a few factors that prove you need to make sure the guitar has a regular setup to keep it playable. Ultimately, a well set up guitar plays better and therefore sounds better because you are more comfortable playing it. It also means you can rely on the guitar on-stage and not have to worry about any embarrassing gig situations. Scientifically, the guitar will sound better because the perfect setup will optimise sustain and intonation – meaning your notes ring for longer and hit the exact pitch that you’re after. Isn’t once a year overkill? Simply put, no. Going back to the car analogy, if you love your guitar, you’ll love to take care of it. Even if you don’t play it as often as you’d like. There are players that go years without getting a setup, but that could be down to pure laziness or they may be happy with the current feel of their instrument. Though they may be accustomed to its quirks. Which is fine too. But remember, you might have a slight issue with your frets or the neck warping and not even realise it’s happening! ‘If it ain’t broke, don’t fix it’. But it’s sure to break if you don’t check it! Where should I go for a guitar setup? We offer guitar setups here at Andertons Music Co. in Guildford. Read more about our repair service by clicking here. You might not live near Andertons which means you’ll need to find a reputable guitar tech. Make sure that it’s someone you trust (or someone that a fellow musician trusts). If you have a guitar teacher, ask them who they use. If you know a guitarist that plays in a band why not ask them who they use? Or call your local store. Find someone trustworthy and use them again and again because a good guitar tech is hard to find, but once you do find one, you’ll keep them forever!